Sweden is an early adopter of remotely read electrical meters, including smart meters. FEB, the Swedish organization for people with electromagnetic hypersensitivity, was very early on concerned about the technologies and they were eventually able to obtain accommodations for its members. Following a decision by the Swedish parliament to require all electrical meters to be read right after midnight on the first day of each month, the utilities started looking into various technologies for automating meter readings. A common technology used is that each meter has a built-in cell phone modem, which is used to download the reading to the utility company’s computers, using the existing cell phone services. This happens once a month or once a day. Another common technology is to transmit via the existing electrical distribution lines, using high frequency signals that are received by stations mounted on utility poles throughout the neighborhood. This method is called powerline communication or powerline carrier (PLC). The FEB organization started to hear from members who had the new meters installed. They did not do well with these technologies. Surprisingly, the PLC systems turned out to be a problem as well. The problem with PLC communication is that the electrical cables inside the house radiate the transmitted signals from every wall. It was as if a small AM radiostation had been installed in the house. Even if the meter was mounted on a pole outside the house, the signals travelled into the household wiring. Some utilities were willing to help out by reinstalling the old non-communicating mechanical meters. The homeowner was then to send a postcard to the utility every month with the meter reading. This solved a lot of problems, but not all of them. The neighbors’ meters could still cause problems, especially when close by. It was found that the signals from the PLC meters on the other houses would still enter households that had kept the old mechanical meters. In some cases, the PLC system was worse than the meters with cell phones. Some utilities refused to leave the old mechanical meters in place and referred to the law that said the meters should be read soon after midnight. FEB contacted the regulatory agency (Statens Energimyndighet), which responded that this requirement wasn’t that stringent. In the fall of 2005, the FEB organization sent a letter to each of the utility companies in Sweden. They included personal letters from FEB members who lived in the service area of each particular utility. FEB asked for a dialogue to resolve the situation. Over the next two years, there were some more or less formal contacts between FEB and the three largest utilities: Vattenfall, E.ON and Fornum. The utilities tried to resolve the problems with individual customers on their own, but in difficult cases they would sometimes contact FEB for advice. By 2007 there were more formal meetings with each of the three main utilities. In early 2010, all three utilities sat down in the same room with FEB to discuss a formal arrangement for accommodating people with electrical sensitivities. Both managers and engineers participated. The meeting was held in a very positive atmosphere and all parties agreed upon a set of guidelines. These were based on the experiences of the past five years. It was recognized that there were no catch-all solutions. It was instead a list of technical measures that could be selected from. One technology is a special filter that has been developed by E.ON1. This filter dampens some types of PLC signals on the powerline, though it does not work for all types of PLC systems. The filter would be installed without cost to the ratepayer, where needed. Another option is to let the ratepayer keep the old non-communicating mechanical meter, and simply send in a postcard once a month with the numbers. In cases where the guidelines did not resolve the problem, the utility would contact FEB for advice. As of early 2011, about 800-900 people with electrical sensitivities have needed to keep their mechanical meter. 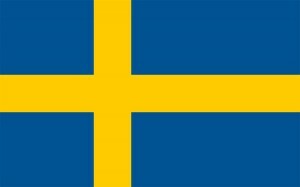 The total population of Sweden is about eight million. A new concern is that the parliament is considering requiring that all meters are read every hour, which would make the old meters unusable. The increase in communication signals may also cause other problems. FEB is contacting the politicians to make them understand the consequences of such a law. 1 The E.ON filter dampens PLC signals in the kilohertz range that is used by some meters. Other PLC meters transmit at much lower frequencies, which may be impossible to filter, because the signals are using frequencies very close to the 50/60 hertz used to transmit the electricity. Future meters may use higher frequencies, in the mega hertz range. This story is compiled from articles in issues 2007/1, 2007/4, 2009/1, 2010/1 and 2011/1 of Ljusglimten. Ljusglimten is a quarterly publication of FEB, the Swedish organization for people with electromagnetic hypersensitivity. SMART METERS – GOOD AND BAD. The only things wrong with smart meters are the Health problems, the home security risks, the personal information hacking risks, the electrical interference problems, the electrical fire problems, the huge $$$ costs to customers, the false promises that energy will be saved, the time and money wasted not moving towards valid improvements in energy usage and conservation and the violations of people’s privacy in their own homes. The good things about smart meters are the huge number of jobs that will be lost and the extra $Billions paid to utility companies.